Catechin Abstracts from published scientific research and papers. The following is a collection of Catechin Abstracts from published scientific research and papers. 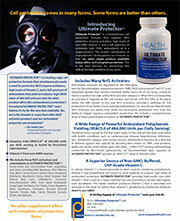 Integratedhealth.com has designed Ultimate Protector, Pro-C, and OPC-C with catechin research in mind. Antioxidative effect of (-)-epicatechin,(-)-epicatechin gallate, and quercetin was examined by measuring the inhibition of lipid peroxidation in large unilamellar liposomes composed of egg yolk phosphatidylcholine (PC). These catechol-type flavonoids were stable in the liposomal suspension. They retarded the accumulation of PC- hydroperoxides depending on their concentrations when the suspension was exposed to an water-soluble radical initiator, 2,2′-azobis(2- amidinopropane)hydrochloride (AAPH). Their inhibitory effects lasted longer than that of alpha-tocopherol. When each flavonoid and alpha- tocopherol were mixed in the liposomes, epicatechin and epicatechin gallate disappeared in favor of alpha-tocopherol. Quercetin also decreased faster than alpha-tocopherol in the initial stage of incubation. Kinetic studies of the inhibition of radical chain oxidation of methyl linoleate in solution demonstrated that the rate constants for the inhibition of oxidation by these flavonoids (kinh) were 5-20 times smaller than that by alpha-tocopherol. It is likely that the flavonoids are localized near the surface of phospholipid bilayers suitable for scavenging aqueous oxygen radicals and thereby they prevent the consumption of lipophilic alpha-tocopherol. Epicatechin and epicatecin gallate gave smaller kinh values than quercetin. Voltammograms of these compounds showed that electron-donating ability of catechins was lower than that of quercetin. However, antioxidative effects of catechins were comparable to that of quercetin in AAPH-initiated peroxidation of the liposomal suspension. It is concluded that catechins and quercetin serve as powerful antioxidants against lipid peroxidation when phospholipid bilayers are exposed to aqueous oxygen radicals. Institutional address: National Food Research Institute Ministry of Agriculture Forestry and Fisheries Ibaraki Japan. Studies on protective mechanisms of four components of green tea polyphenols against lipid peroxidation in synaptosomes. The comparison of the protective effects of four components of “green tea polyphenols’ (GTP) – (-)-epigallocatechin gallate, EGCG; (-)- epicatechin gallate, ECG; (-)epigallocatechin, EGC; and (- )epicatechin, EC – against iron-induced lipid peroxidation in synaptosomes showed that: (1) the inhibitory effects of those compounds on TBA reactive materials from lipid peroxidation decreased in the order of EGCG > ECG > EGC > EC; (2) the scavenging effects of those compounds on lipid free radicals produced by lipid peroxidation could be classified as follows: ECG > EGCG > EC > EGC. Furthermore, we investigated the iron-chelating activity and the free radical scavenging activity of those compounds as their protective mechanisms against lipid peroxidation in synaptosomes. As for the iron-chelating activity, the ratio of EGC, EGCG, ECG or EC to iron(III) was 3:2, 2:1, 2:1 and 3:1, respectively. The hydroxyl radical (HO) scavenging activity of those compounds was investigated in a photolysis of the H2O2 system. It was found that their ability to scavenge hydroxyl radicals decreased in the order of ECG > EC > EGCG >> EGC. It was also found that they could scavenge lipid free radicals in the lecithin/lipoxidase system and their scavenging activity was classified as follows: ECG > EGCG >> EGC > EC. Moreover, we found that their antioxidant active positions were different from each other and the stability of the semiquinone free radicals produced by those compounds in NaOH solution decreased in the order of EGCG > ECG >> EC. 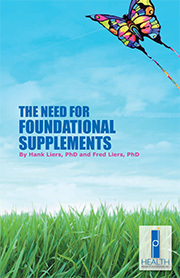 The results indicated that the ability of those compounds to protect synaptosomes from the damage of lipid peroxidation initiated by Fe2+/Fe3+ was dependent not only on their iron-chelating activity and free-radical scavenging activity, but also on the stability of their semiquinone free radicals. Institutional address: Institute of Biophysics Academia Sinica Beijing People’s Republic of China. Antioxidative effects of black tea theaflavins and thearubigin on lipid peroxidation of rat liver homogenates induced by tert-butyl hydroperoxide. The antioxidative activity of theaflavins (TFs) and thearubigin (TR) purified from the infusion of black tea leaves was examined using the tert-butyl hydroperoxide-induced lipid peroxidation of rat liver homogenates. The concentrations which produced 50% inhibition of lipid peroxidation (IC50) by theaflavin (TF), theaflavin monogallate- A (TFM-A), and TR were 4.88 x 10(-4), 4.09 x 10(-4), and 4.95 x 10(- 4%) (w/v), respectively. The anti-oxidative activity of these compounds was higher than that of glutathione, L(+)-ascorbic acid, dl- alpha-tocopherol, butylated hydroxytoluene, butyl hydroxyanisole, etc., but was lower than the activity of (-)-epicatechin gallate, (-)- epigallocatechin, and (-)-epigallocatechin gallate. As to the IC50 in molarity, the antioxidative activity of TFM-A was the second highest among all the samples used in this study. The antioxidative activity of lyophilized tea infusions was compared. The activity of black tea was about as potent as that of green tea. These results suggest that black tea infusion containing TFs and TR could inhibit lipid peroxidation in biological conditions in the same way as green tea infusion containing epicatechins. Institutional address: Department of Chemistry and Biochemistry Numazu College of Technology Shizuoka Japan. Effect of glutathione, catechin, and epicatechin on the survival of Drosophila melanogaster under paraquat treatment. The biological effect of antioxidants which showed high superoxide-scavenging (SOS) activity in an in vitro analysis was examined by using Drosophila melanogaster. When the flies were exposed to paraquat as an endogenous source of the superoxide anion, their survival rapidly decreased. Although the SOS antioxidants did not have a preventive effect against paraquat toxicity, a supplement of each SOS antioxidants as glutathione, (+)-catechin and/or (-)- epicatechin to the diet had a reparative effect on flies damaged by the superoxide anion. The survival ratio of flies fed on a diet enriched with SOS antioxidants ranged from 77% to 87%, while that of the control group was 56%. When flies were exposed to paraquat in the presence of hydrogen peroxide or iron, each combination was more toxic than paraquat alone, since the two compounds could accelerate the generation of reactive oxygen species in vivo. The SOS antioxidants, however, allowed the flies to resist the combined toxicity of paraquat and ferrous iron. Institutional address: Korea Food Research Institute Bundang Songnam Kyonggi Korea. Measurement of superoxide dismutase-like activity of natural antioxidants. The superoxide dismutase (SOD)-like activity of natural antioxidants was evaluated by measuring the inhibition of pyrogallol autoxidation that is catalyzed by the superoxide radical. Among 22 water-soluble antioxidants tested, L-ascrobic acid, L-ascorbic acid 6-palmitate, glutathione (reduced form), (+)-catechin, and (-)-epicatechin showed effective SOD-like activity. To analyze lipophilic antioxidants, an optically clear organic system composed of diethyl ether, surfactant (dioctyl sulfosuccinate, AOT) and water, called reverse micelles, was developed. The optimum concentrations of AOT, water and pyrogallol for determining SOD-like activity were found to be 50 mM, 1.3 M, and 40 mM, respectively. After proving that pyrogallol autoxidation was mediated by the superoxide anion in that system, the SOD-like activity of 24 lipophilic antioxidants was measured. Cinnamon oil, gamma-oryzanol, extract of rosemary leaf, L-alpha-lecithin, and L- alpha-cephalin exhibited activity, although the activity of some antioxidants could not be measured because of the intense color or low solubility. Institutional address: Agricultural Product Utilization Division Korea Food Research Institute Kyonggi. Effect of asoka on the intracellular glutathione levels and skin tumour promotion in mice. The bark of Saraka asoca (asoka) is commonly used to treat various diseases by the Indian system of medicine and in Sri Lanka. Further purification and chemical analysis of the active compound from the bark extract of asoka showed that (-)-epicatechin was responsible for the observed antitumour/anticarcinogenic activity. Papilloma formation in mice initiated with 7,12-dimethylbenz[a]anthracene (DMBA) and promoted using croton oil was inhibited by the topical application of 100 mg/kg body weight (b.w.) of (-)-epicatechin isolated from asoka bark extract. Oral administration of the same dose restricted the growth of s.c. injected 20 methylcholanthrene (MCA) induced soil tissue fibrosarcomas significantly in mice. Elevations of almost 2-4-fold in the intracellular reduced glutathione and related enzymes viz., glutathione reductase and glutathione S-transferase of sarcoma-180 tumour cells were noted in the presence of 1 microgram/ml of (-)-epicatechin, further highlighting its antiproliferative effect. Institutional address: Amala Cancer Research Center and Hospital Trichur Kerala India. An antioxidative fraction was extracted from green tea and the major compounds in the fraction identified as epicatechins. Experimental results showed that green tea epicatechin compounds (GTEC) inhibited the mutagenicity and/or chromosomal damage caused by different carcinogens in both bacterial and mammalian cells. In vitro, GTEC inhibited transformation of BALB/3T3 cells induced by BP, X-rays, or MCA/TPA. In vivo, green tea extract decreased the incidence of carcinoma in the forestomach and esophagus of mice induced by sarcosine and NaNO2. GTEC inhibited the development of gamma-glutamyl transpeptidase-positive foci in the livers of rats treated with diethyl nitrosamine (DEN) or DEN/phenobarbital. Our investigations indicate that the antimutagenic and anticarcinogenic mechanisms of GTBC are related to the following: increased glutathione-S- transferase activity; inhibition of edema, hyperplasia, and ODC activity induced by TPA; free radical scavenging; blocked tumor promoter-induced inhibition of intercellular communication; and enhanced cell-mediated immunity. GTEC might be useful in the prevention of some kinds of cancer and a variety of oxidation-related diseases. Evaluation of the antioxidant actions of ferulic acid and catechins. We have evaluated the abilities of ferulic acid, (+/-) catechin, (+) catechin and (-) epicatechin to scavenge the reactive oxygen species hydroxyl radical (OH. ), hypochlorous acid (HOCl) and peroxyl radicals (RO2.). Ferulic acid tested at concentrations up to 5 mM inhibited the peroxidation of phospholipid liposomes. Both (+/-) and (+) catechin and (-) epicatechin were much more effective. All the compounds tested reacted with trichloromethyl peroxyl radical (CCl3 O2.) with rate constants > 1 x 10(6) M-1 s-1. A mixture of FeCl3- EDTA, hydrogen peroxide (H2O2) and ascorbic acid at pH 7.4, has often been used to generate hydroxyl radicals (OH.) which are detected by their ability to cause damage to the sugar deoxyribose. Ferulic acid, (+) and (+/-) catechin and (-) epicatechin inhibited deoxyribose damage by reacting with OH. with rate constants of 4.5 x 10(9)M-1 s- 1, 3.65 x 10(9) M-1 s-1, 2.36 x 10(9) M-1 s-1 and 2.84 x 10(9) M-1 s- 1 respectively. (-) Epicatechin, ferulic acid and the (+) and (+/-) catechins exerted pro-oxidant action, accelerating damage to DNA in the presence of a bleomycin-iron complex. On a molar basis, ferulic acid was less effective in causing damage to DNA compared with the catechins. A mixture of hypoxanthine and xanthine oxidase generates O2-. which reduces cytochrome c to ferrocytochrome c. (+) Catechin and (-) epicatechin inhibited the reduction of cytochrome c in a concentration dependent manner. Ferulic acid and (+/-) catechin had only weak effects. All the compounds tested were able to scavenge hypochlorous acid at a rate sufficient to protect alpha-1- antiproteinase against inactivation. Our results show that catechins and ferulic acid possess antioxidant properties. This may become important given the current search for “natural” replacements for synthetic antioxidant food additives. Institutional address: Pharmacology Group University of London King’s College United Kingdom. Inhibitory effects of tea catechins, black tea extract and oolong tea extract on hepatocarcinogenesis in rats. Inhibitory effects of individual tea catechins ((–)-epicatechin, (– )-epigallocatechin, (–)-epicatechin gallate, (–)-epigallocatechin gallate), black tea extract and oolong tea extract on hepatocarcinogenesis were investigated. Male F344 rats received a single dose of diethylnitrosamine (200 mg/kg, i.p. ), and thereafter phenobarbital (0.05%) was administered in the drinking water for a period of 6 weeks. Tea catechins, black tea extract or oolong tea extract were given during the entire experimental period, during only the initiation period or during only the promotion period. All four tea catechins, black tea extract and oolong tea extract (0.05 or 0.1%) significantly decreased the number and area of preneoplastic glutathione S-transferase placental form-positive foci in the liver. These results suggest that tea catechins, black tea extract and oolong tea extract have a chemopreventive action against hepatocarcinogenesis. Institutional address: Food Research Laboratories Mitsui Norin Co. Ltd. Shizuoka Japan. Inhibitory effects of jasmine green tea epicatechin isomers on free radical-induced lysis of red blood cells. Jasmine green tea is an excellent source of natural polyphenol antioxidants including mainly (-) epicatechin (EC), (-) epicatechin gallate (ECG), (-) epigallocatechin (EGC) and (-) epigallocatechin gallate (EGCG). The present study was to test our hypothesis that ingestion of jasmine tea would protect red blood cell (RBC) membrane from free radical-induced oxidation if jasmine tea epicatechin isomers could be absorbed and circulated in blood. When incubated with RBC suspension, all four epicatechin isomers purified from jasmine tea exhibited a strong protection for RBC membrane to hemolysis induced by 2,2′-azo-bis(2-amidinopropane) dihydrochloride (AAPH), an azo free radical initiator. The inhibitory effect was dose-dependent at the concentrations of 2.5 microM to 40 microM. The fatty acid analysis revealed that all four epicatechin isomers significantly prevented loss of arachidonic acid (20:4n-6) and docosahexaenoic acid (22:6n-3) in RBC incubated under the same conditions. Although the in vitro antioxidative activity of EGCG and ECG was more effective than EGC and EC, the latter two isomers were more important in vivo in scavenging free radicals. This was because only EGC and EC instead of EGCG and ECG were circulating in blood stream after a gavage-dose of 100 mg jasmine tea GTP mixture. In fact, ingestion of jasmine tea GTP extracts was associated with a significant decrease in susceptibility of RBC to hemolysis in rats. Institutional address: Department of Biochemistry The Chinese University of Hong Kong Shatin New Territory. Antioxidative effect of polyphenol extract prepared from various Chinese teas. METHODS. Twelve different types of Chinese teas, including green, semifermented, and black tea, were studied for their antioxidant activities and active components. Compositions of (-)-epicatechin, (- )-epigallocatechin, (-)-epicatechin gallate, (-)-epigallocatechin gallate, and gallic acid were identified by fast atom bombardment-mass spectrometry and high-performance liquid chromatography-mass spectrometry and quantified by high-performance liquid chromatography. Antioxidant activities in lard were measured by the Rancimat method. RESULTS. The results showed that both yields of polyphenol extract and antioxidant activities varied with different tea processing methods. It was found that (-)-epigallocatechin gallate, (-)-epigallocatechin, and (-)-epicatechin gallate inhibited soybean lipoxygenase at the IC50 values ranging from 10 to 20 microM. Institutional address: Department of Food Science Cook College New Jersey Agricultural Experiment Station Rutgers University New Brunswick 08903. Chemopreventive efficacy of black and green tea extracts in in vitro assays (Meeting abstract). Black tea extracts (hot water, polyphenols and theaflavins) and green tea extracts (hot water, polyphenols, epicatechin, epicatechin gallate, epigallocatechin, and epigallocatechin gallate) were tested in nine cell culture assays for cancer chemopreventive properties. Black and green tea extracts strongly inhibited transformation associated endpoints in mouse, rat and human cells. Nearly all tea fractions strongly inhibited benzo[a]pyrene binding to human DNA. Glutathione-S-transferase and quinone reductase were enhanced by nearly all tea fractions, while glutathione was induced by only a few fractions. Ornithine decarboxylase activity was inhibited by nearly all the green tea fractions, but none of the black tea fractions. TPA-induced free radicals were inhibited by most tea fractions. These results provide strong evidence of both antimutagenic and antiproliferative activities for both black and green tea extracts. Effect of tea flavonoid supplementation on the susceptibility of low- density lipoprotein to oxidative modification. Dietary flavonoid intake has been reported to be inversely associated with the incidence of coronary artery disease. To clarify the possible role of tea flavonoids in the prevention of atherosclerosis, we investigated the effects of tea flavonoids on the susceptibility of low-density lipoprotein (LDL) to oxidative modification. In an in vitro study, catechins or theaflavins (25-400 mumol/L) were added to plasma and incubated for 3 h at 37 degrees C. Then, the LDL fraction was separated by ultracentrifugation. The oxidizability of LDL was estimated by measuring conjugated diene, thiobarbituric acid-reactive substances (TBARS), and lipid peroxides after cupric sulfate was added. TBARS and lipid peroxides in the supernates were also measured after incubation with macrophages. Catechins significantly (P < 0.01 by ANOVA) and dose-dependently prolonged the lag time before initiation of oxidation. Among the catechins, epigallocatechin gallate exerted the most marked effect, prolonging the oxidation lag time more than vitamin E at the same molar concentration. Theaflavins exerted stronger inhibitory effects than catechins. Macrophage- mediated LDL oxidation was also inhibited by adding these tea flavonoids to the plasma samples. In an in vivo study, 14 healthy volunteers consumed 750 mL black tea/d for 4 wk. After the subjects had consumed tea for 4 wk, the lag time before LDL oxidation was significantly (P < 0.01) prolonged from 54 to 62 min. This minor prolongation occurred despite much lower plasma flavonoids than were used in vitro. No significant change was observed in eight control volunteers. LDL exposed to tea flavonoids in vitro or in vivo reduced oxidizability. We speculate that tea flavonoids may have a role in ameliorating atherosclerosis. Institutional address: First Department of Medicine National Defense Medical College Japan. Scavenging effects of tea catechins and their derivatives on 1,1- diphenyl-2-picrylhydrazyl radical. The scavenging effects of tea catechins and their epimerized, acylated, and glucostylated derivatives on 1,1-diphenyl-2- picrythydrazyl (DPPH) radical were evaluated by electron spin resonance spectrometry. Tea catechins and their epimers were shown to have 50% radical scavenging ability in the concentration range of 1 to 3 microM. No significant differences were observed between the scavenging activities of tea catechins and their epimers, and, hence, the scavenging effects of catechins are not dependent on their sterical structure. The relationship between scavenging ability and the structure of tea catechins was also examined with acylated and glucosylated catechin derivatives. It is suggested that the galloyl moiety attached to flavan-3-ol at 3 position has a strong scavenging ability on the DPPH radical as well as the ortho-trihydroxyl group in the B ring, which elevates the radical scavenging efficiency above that of the ortho-dihydroxyl group; as has been recognized in other flavonoids such as flavones. The results obtained from the reactivity of tea catechins with the DPPH radical at different pHs suggest not only that the ortho-trihydroxyl group and the galloyl moiety contribute to maintaining the DPPH radical scavenging ability more effectively in a wide range of conditions from acidic to alkaline, but also that the radical scavenging efficiency of the ortho- dihydroxyls in the B ring is limited in neutral to alkaline regions. The difference between the scavenging abilities of the trihydroxyls (probably in the galloyl moiety) and the dihydroxyls can be explained in terms of redox potentials. It is concluded that the ortho- trihydroxyl group in the B ring and the galloyl moiety at 3 position of flavan-3-ol skeleton are the most important structural features for displaying an excellent scavenging ability on the DPPH radical. Antitumor agents, 129. Tannins and related compounds as selective cytotoxic agents. Fifty-seven tannins and related compounds, including gallotannins, ellagitannins, and condensed and complex tannins, were evaluated for their cytotoxicities against human tumor cell lines, including malignant melanoma, lung carcinoma, ileocecal adenocarcinoma, epidermoid carcinoma, malignant melanoma, and medulloblastoma cell lines. Among them, chebulagic acid , geraniin , sanguiin H-11 , 4,5-di-O-galloylquinic acid , 1,3,4,5-tetra-O-galloylquinic acid , 1(beta)-O-galloylpedunculagin , furosin , castalagin , sanguiin H-2 , vescalagin , grandinin , phyllyraeoidin A , (-)-epicatechin 3-O-gallate , cinnamtannin B2 , and acutissimin A  exhibited moderate selective cytotoxicity against PRMI-7951 melanoma cells with ED50 values in the range of 0.1-0.8 microgram/ml. Selective cytotoxicities against the melanoma cells were also observed for strictinin , pedunculagin , eugeniin , elaeocarpusin , punicacortein C , casuarinin , sanguiin H-6 , procyanidin B-2 3,3′-di-O-gallate , procyanidin C-1 3,3′,3″-tri-O-gallate , and cinnamtannin B1  with ED50 values of 1-4 micrograms/ml. All of the tannins were found to be inactive (greater than 10 micrograms/ml) against lung carcinoma (A-549), ileocecal adenocarcinoma (HCT-8), epidermoid carcinoma of nasopharnyx (KB), and medulloblastoma (TE-671) tumor cells. Institutional address: Natural Products Laboratory School of Pharmacy University of North Carolina Chapel Hill 27599. Effects of rhubarb tannins on renal function in rats with renal failure. The effects of tannins purified from Rhei Rhizoma on various parameters of renal function were investigated in rats with adenine-induced renal failure. The glomerular filtration rate, renal plasma flow and renal blood flow were significantly increased in rats given (-)-epicatechin 3-O-gallate at a dose of 5 or 10 mg/kg body weight/day for 24 days. Administration of 5 mg of procyanidin B-2 3,3′-di-O-gallate also led to a significant increase in renal functional parameters. However, unlike the former two components, procyanidin C-1 3,3′,3”-tri-O-gallate caused aggravation of renal function. Institutional address: Research Institute for Wakan-Yaku Toyama Medical and Pharmaceutical University Japan. Effects of bioflavonoids on hepatic P450 activities. 1. The effects of tangeretin, green tea flavonoids, and other flavonoids on 7-ethoxyresorufin-O-deethylase (EROD; 450 1A), 7- pentoxyresorufin-O-dealkylase (PROD; P450 2B), p-nitrophenol hydroxylase (PNPH, P450 2E1), and erythromycin-N-demethylase (ERDM; P450 3A) were examined in induced rat liver microsomes. EROD, PNPH, ERDM, and nifedipine oxidase (NIFO; P450 3A4) were examined in human liver microsomes. 2. All flavonoids tested inhibited EROD activity at higher concentrations in liver microsomes. Flavone and tangeretin were potent inhibitors of EROD, with IC50’s of 0.7 and 0.8 microM respectively in rat liver microsomes and 0.15 and 16 microM respectively in human liver microsomes. The green tea flavonoid (-)- epicatechin-3-gallate (ECG) was the most potent inhibitor of EROD in human liver microsomes (IC50 = 75 microM). The effect of the green tea flavonoids on EROD was complex; in addition to inhibition at high concentrations of flavonoid, moderate activation was seen at lower concentrations. 3. 450 2B-, 2E1- and 3A-dependent activities in rat and human liver microsomes were only moderately inhibited by any of the flavonoids tested, and, in general, ECG was the most potent inhibitor for these activities with IC50’s ranging from 75 to 300 microM. 4. Tangeretin inhibited EROD activity (P450 1A2) in human liver microsomes in a competitive manner with a Ki = 68 nM. Tangeretin inhibited NIFO activity (P450 3A4) in human liver microsomes in an uncompetitive manner with Ki = 72 microM. Institutional address: Metabolism and Pharmacokinetics Department Bristol-Myers Squibb Pharmaceutical Research Institute Princeton NJ 08543 USA.